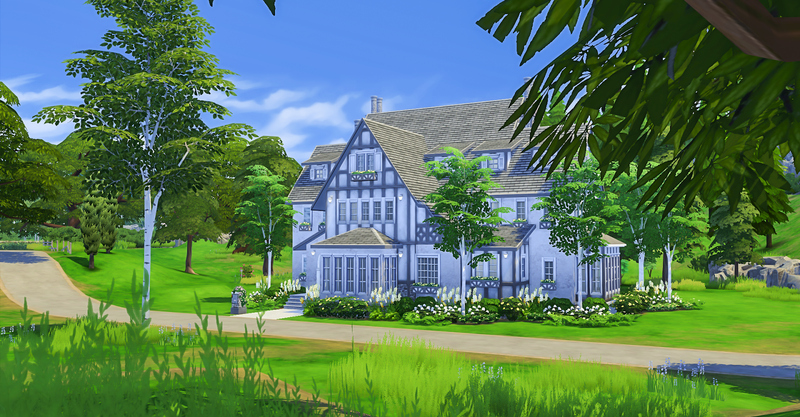 This is the end folks, this is the last lot built for my Windenburg Makeover. 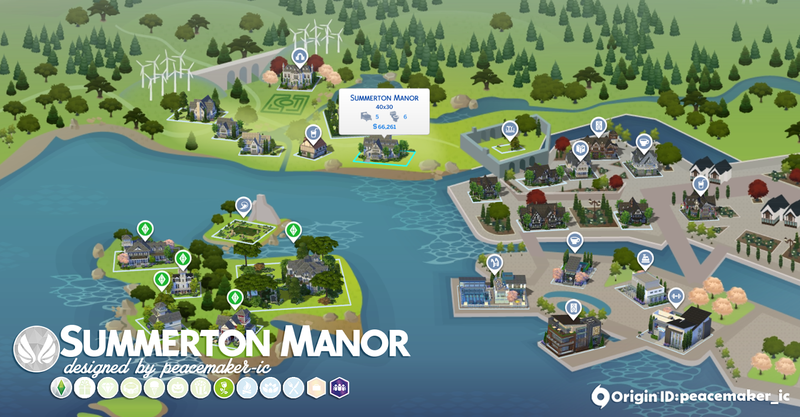 Its a sad day, but it means that I have a pretty world now, free of blandness that once existed. 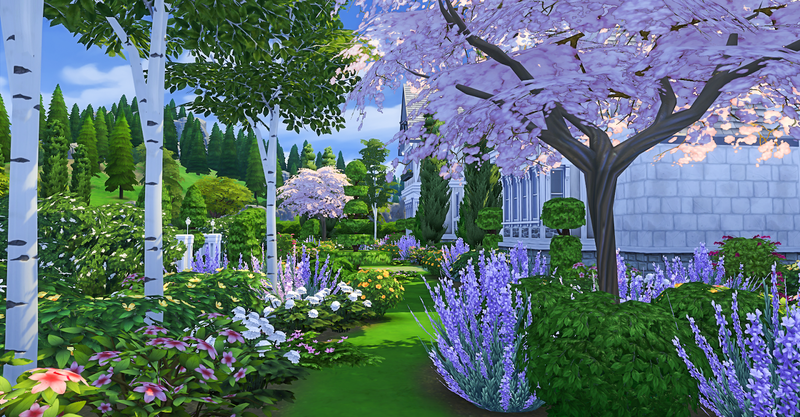 Hopefully you enjoy this last lot as much as me. 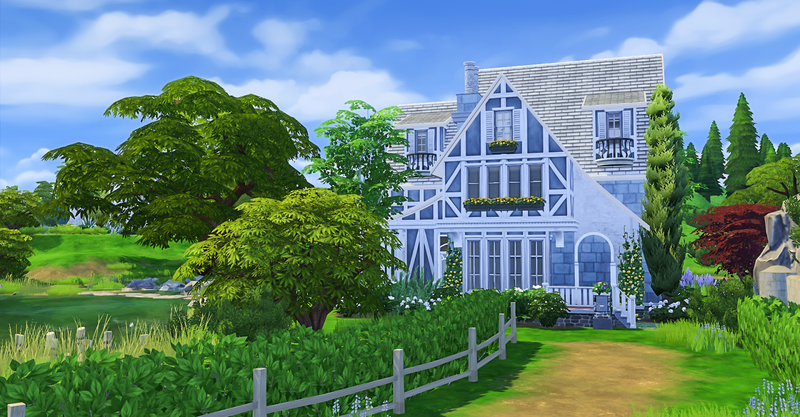 Again, a country style with a french and tudor twist. It is also the one I did a speed build too, and now i am happy with the layout, its ready for your games. 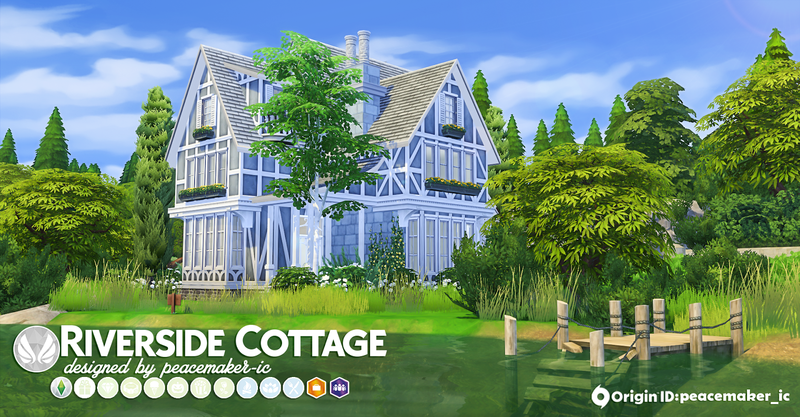 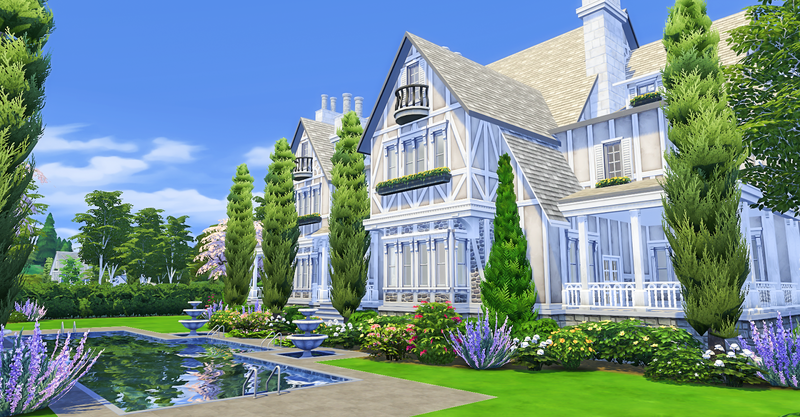 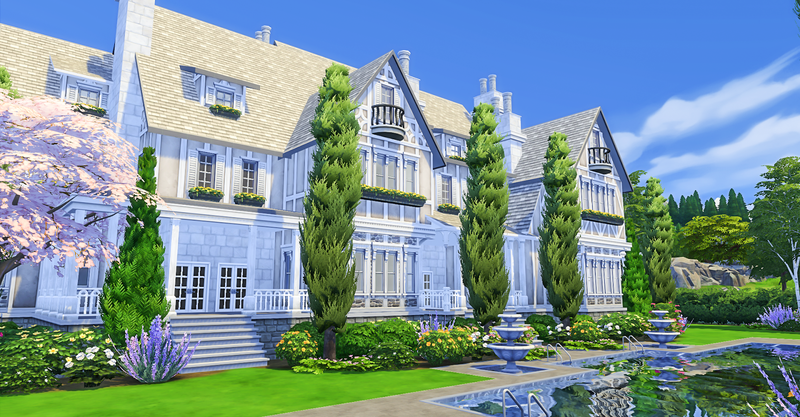 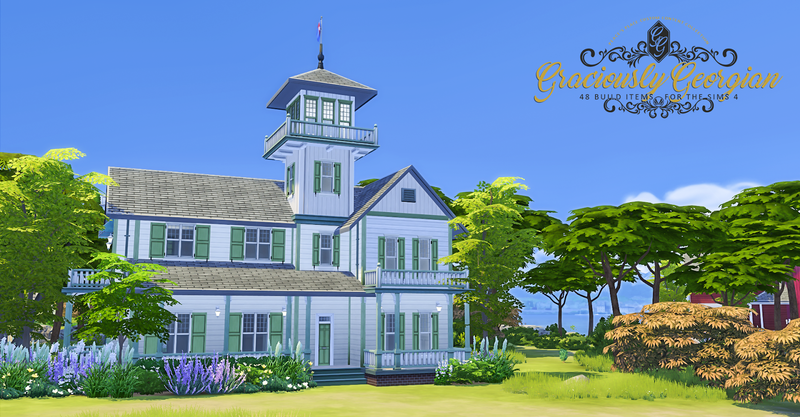 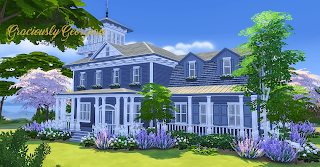 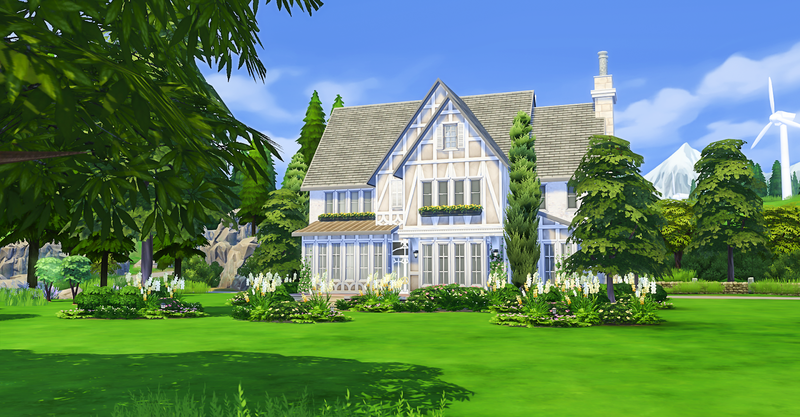 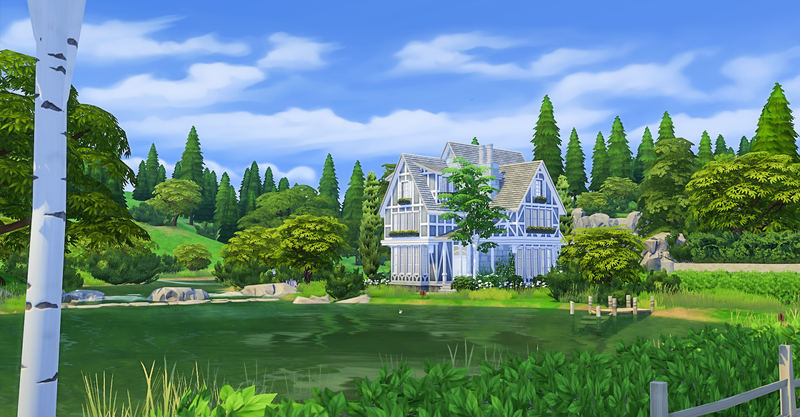 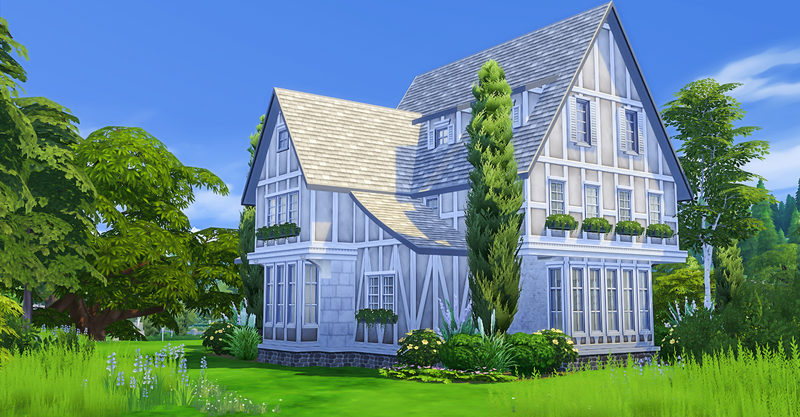 If you want to see this house being built, you can check out the speed build here. 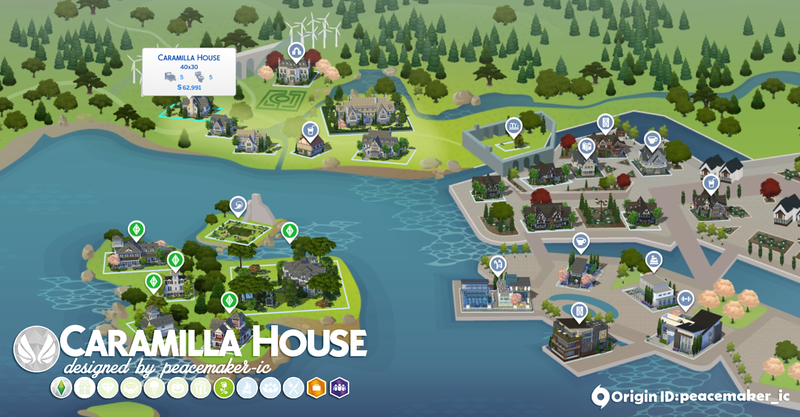 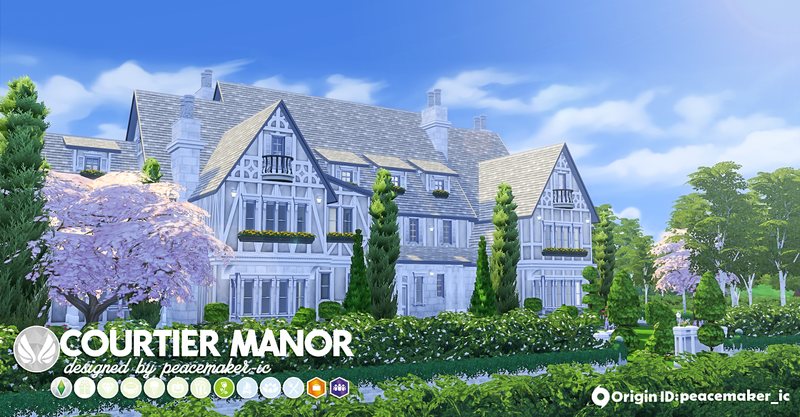 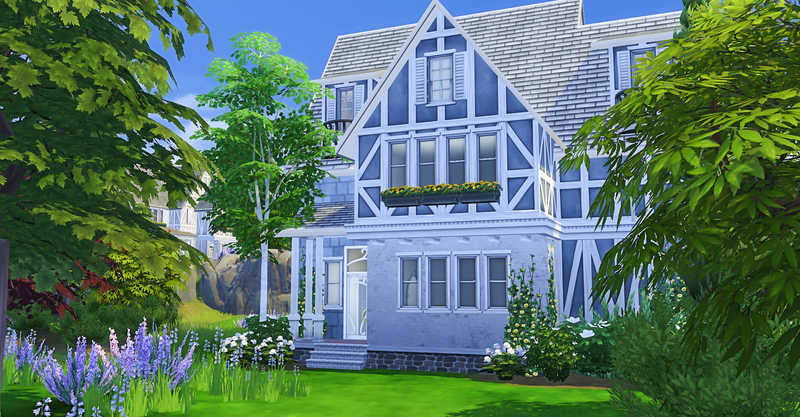 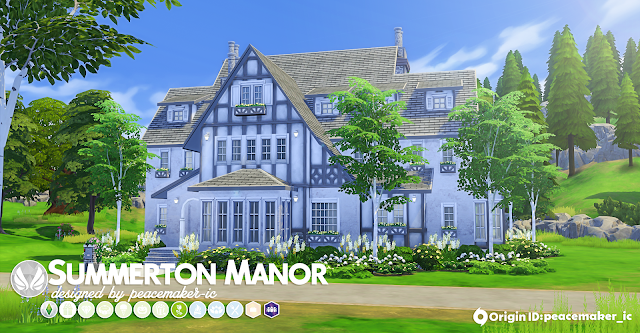 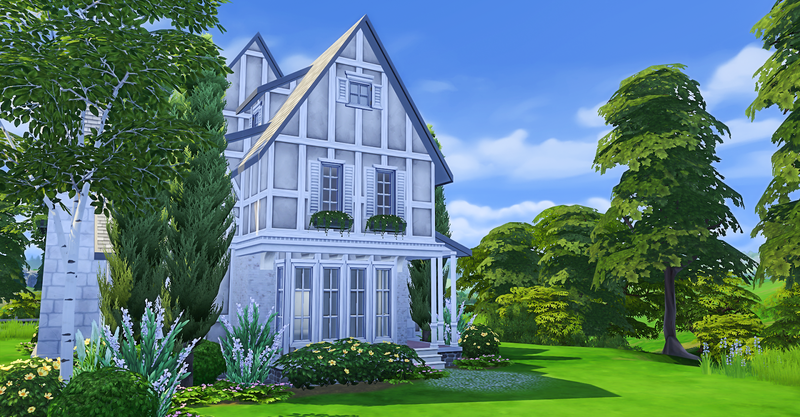 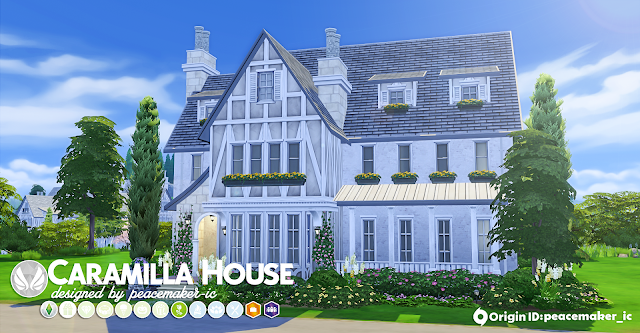 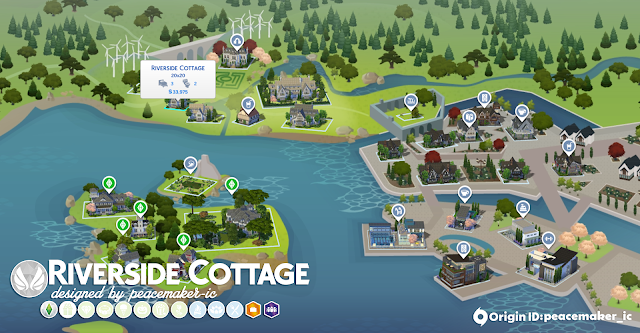 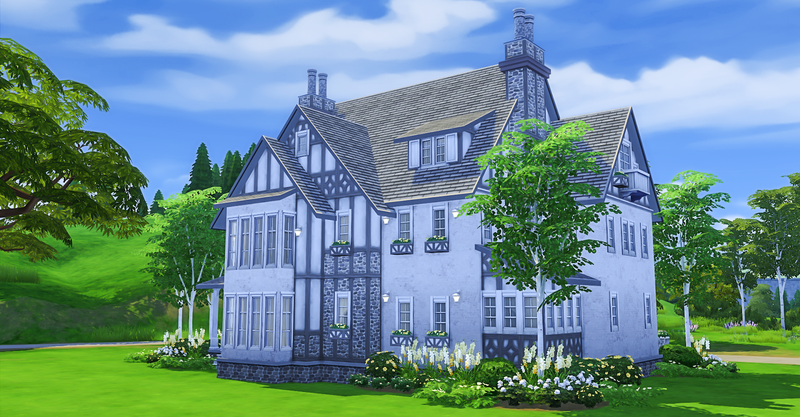 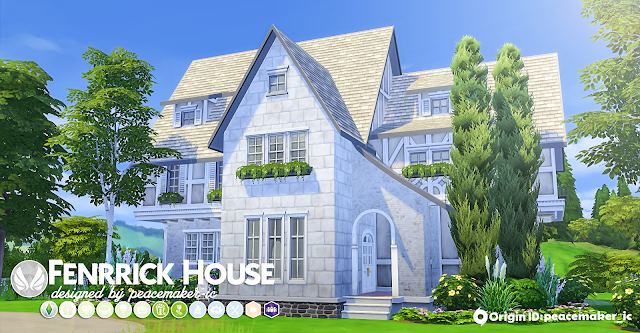 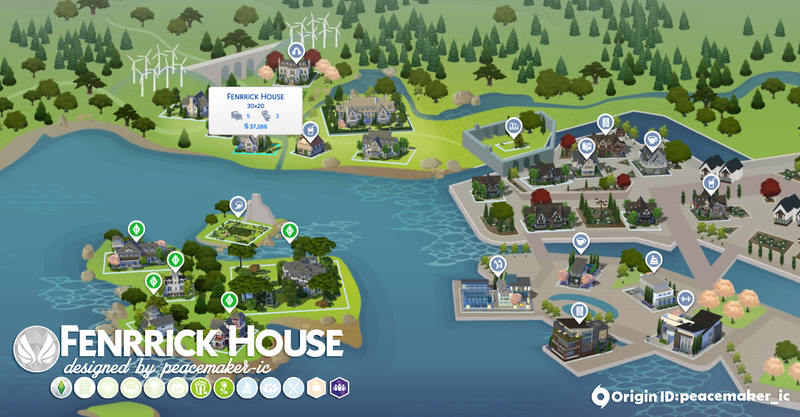 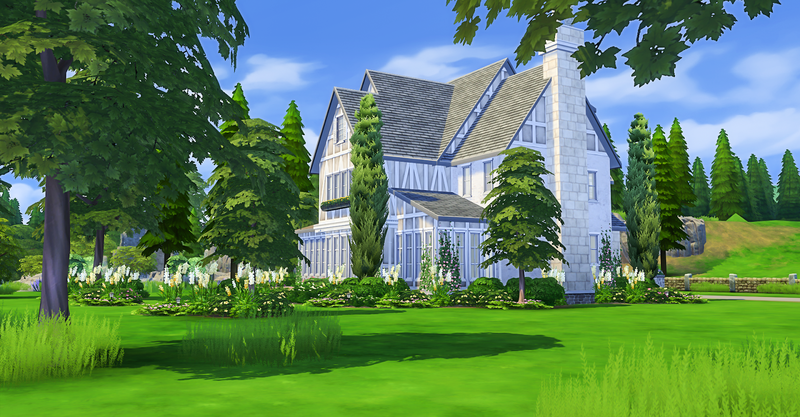 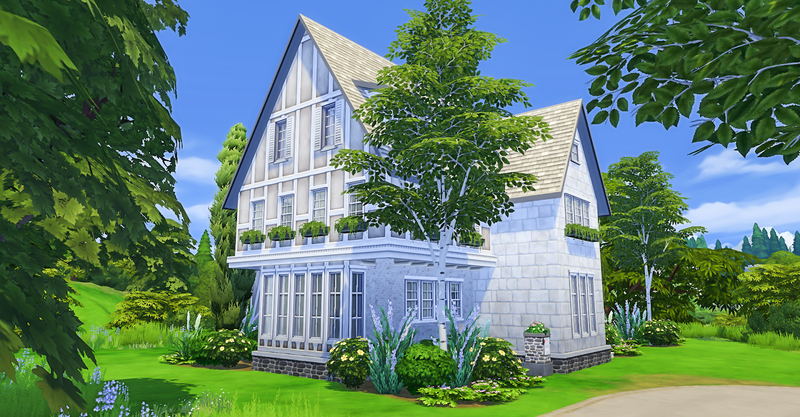 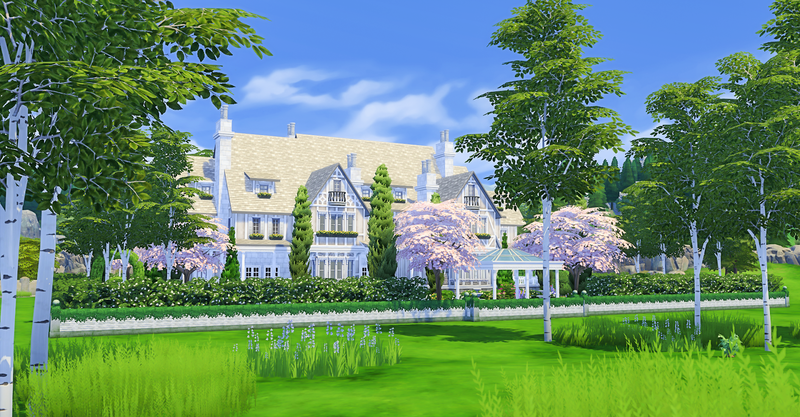 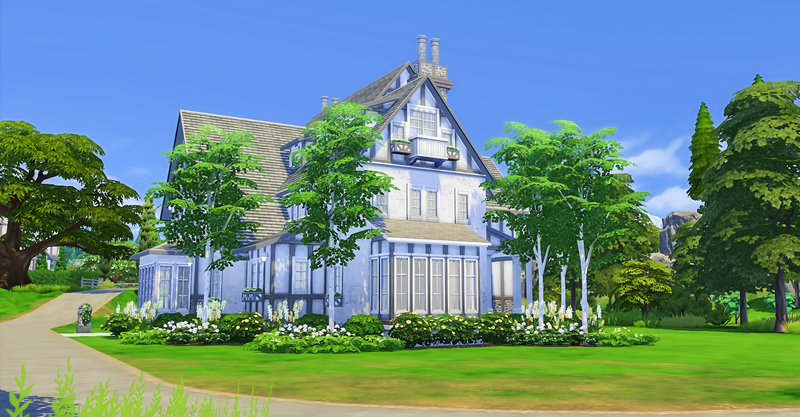 You can find the house on the gallery under my origin ID: peacemaker_ic. Be sure to turn on "custom content" filtering in advanced options. 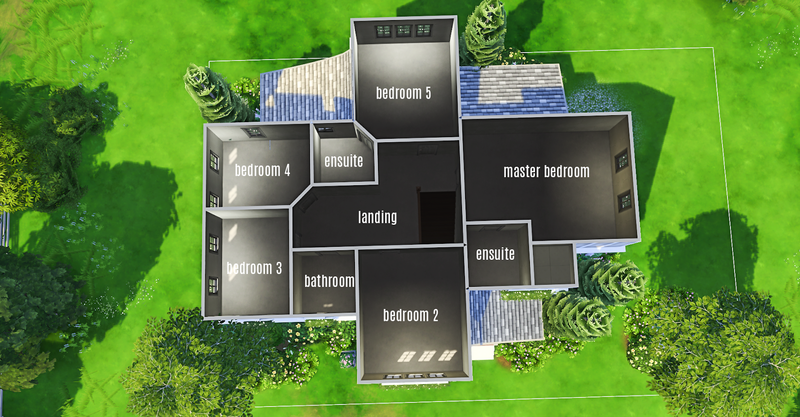 I really don't like working with small lots. 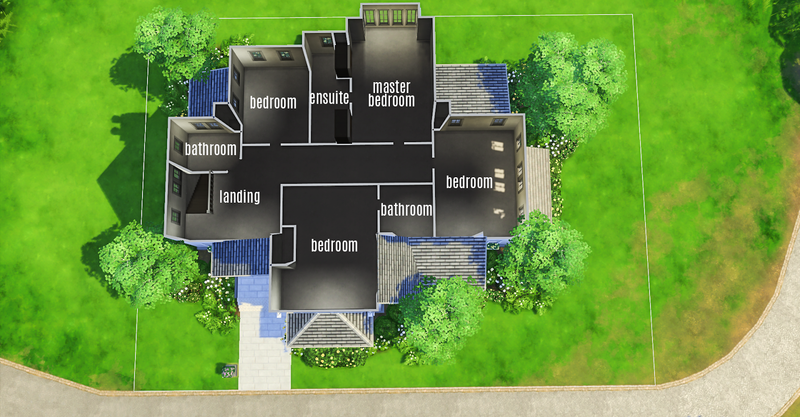 I feel most comfortable building 3-5 bedroom homes on no smaller then 20x30. 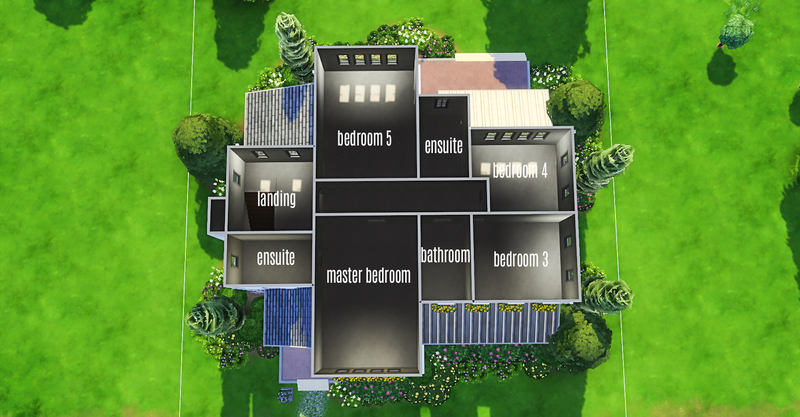 However, larger lots are just not as common in this game, so I have had to adapt. This is quite a large home for this lot, but it looks at home by the small river. 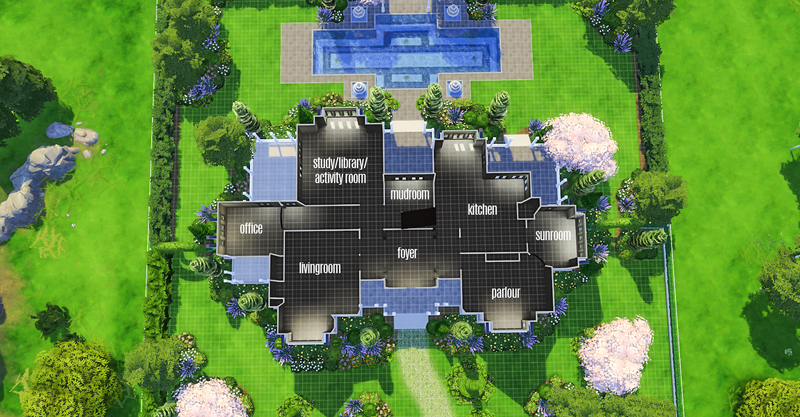 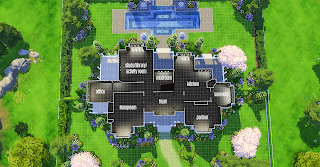 I like to consider the area around a lot to be part of a home, which makes the lot feel much more substantial. 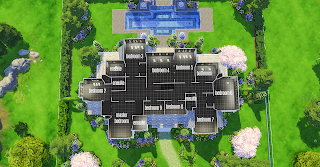 Its quite generous inside, even if its at the cost of exterior space. 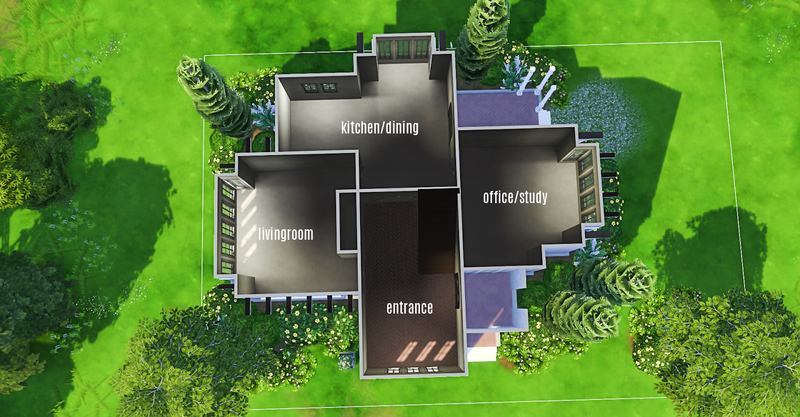 You can rarely have both space outside and inside in this game, but its a trade-off I am willing to make. 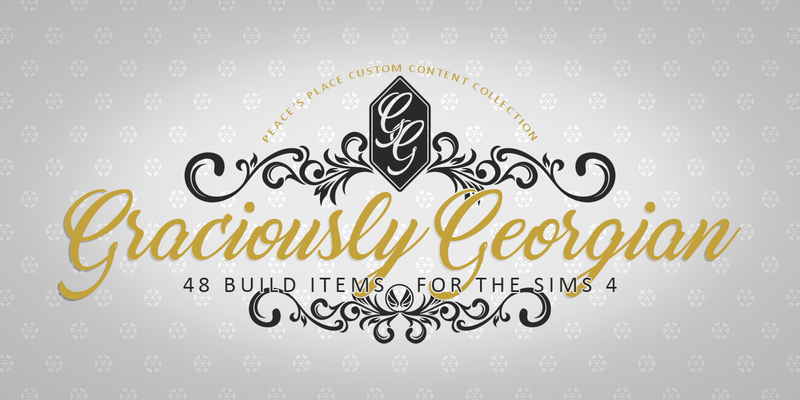 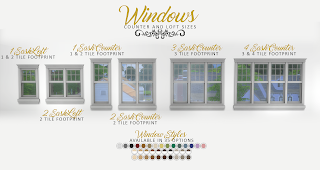 As you may have seen visiting my blog, I have been in the middle of a massive updating spree for my sets. 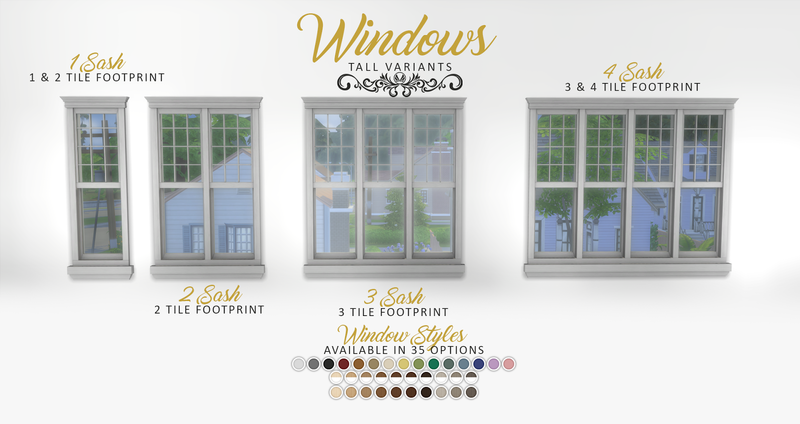 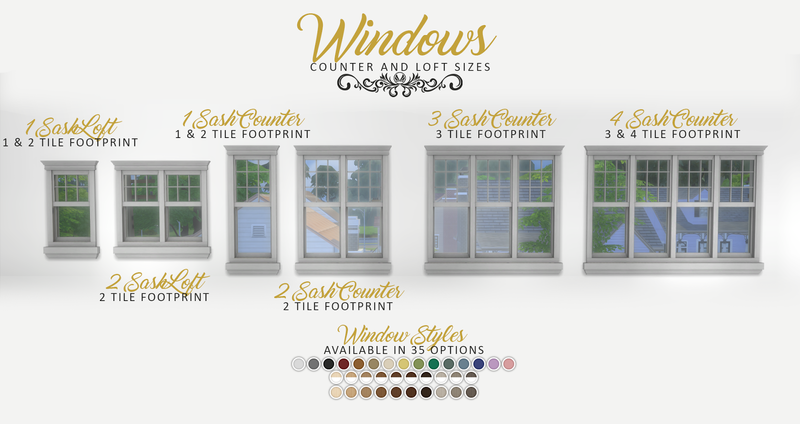 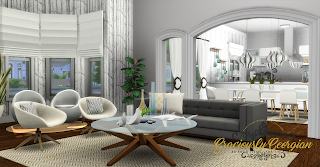 This was mainly triggered by the lighting update that Maxis released which broke a lot of cc lights, but it was also an opportunity to update some minor issues as well. Graciously Georgian was the last set that needed updating, so you can no find all the updated items in their respective posts. Remember, if you find an issue, please let me know. I don't catch everything and will try and help you figure out if its my content or an issue on your side. 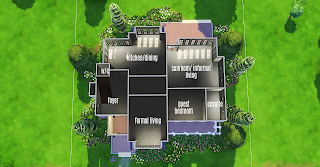 Just remember to be specific, I can't help if I have no information to go on. 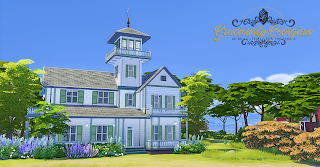 Now back to cc making. 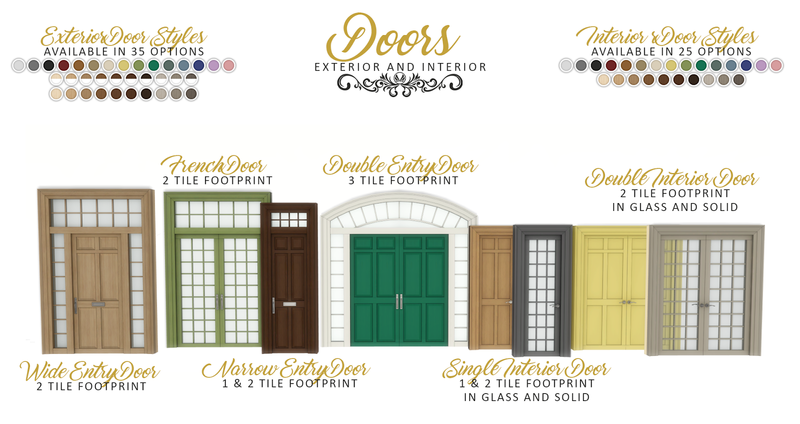 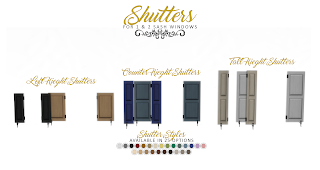 UPDATE 23/07/2016: I was made aware that the low lod for the French, Wide, and Double doors were displaying the missing texture image due to incorrect linking, that has been fix. 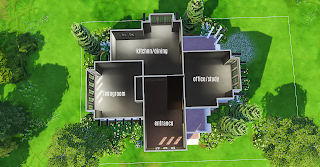 It was only a concern if viewing the items from a fair distance away, but nevertheless, needed fixing. You can redownload below, as well as the updated files separately. 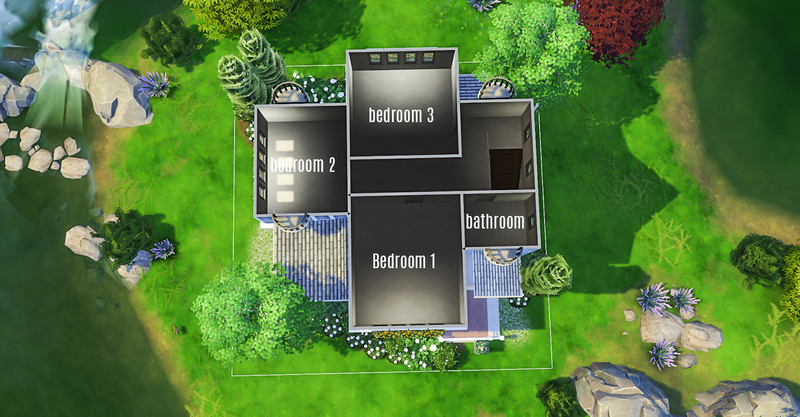 Thanks to Kanata2288 on twitter for letting me know about the issue. It is finally finished: my first unique set of build mode items. 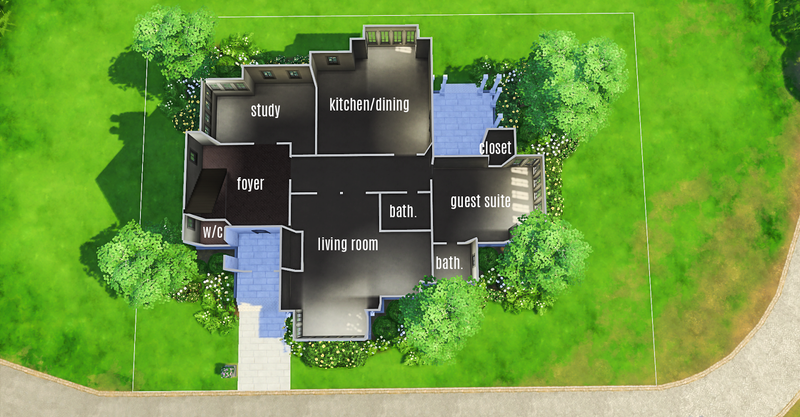 I tend to more often then not "go big, or go home" and this set is no exception. 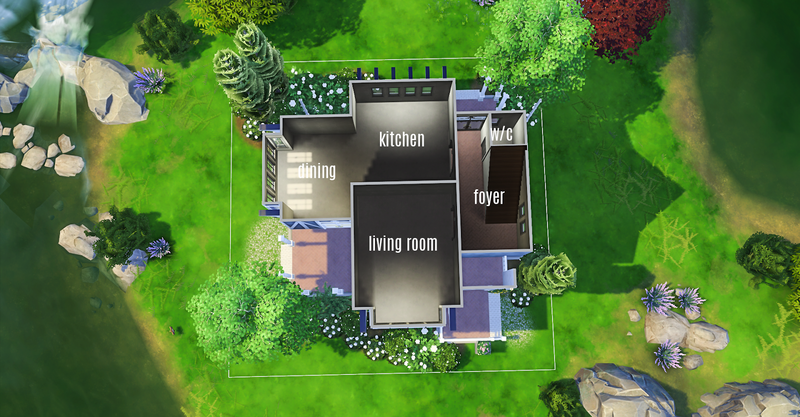 This is what I call a full build set, with matching interior and exterior items. 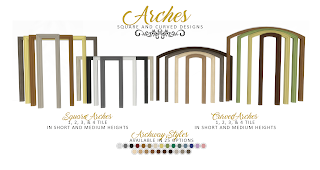 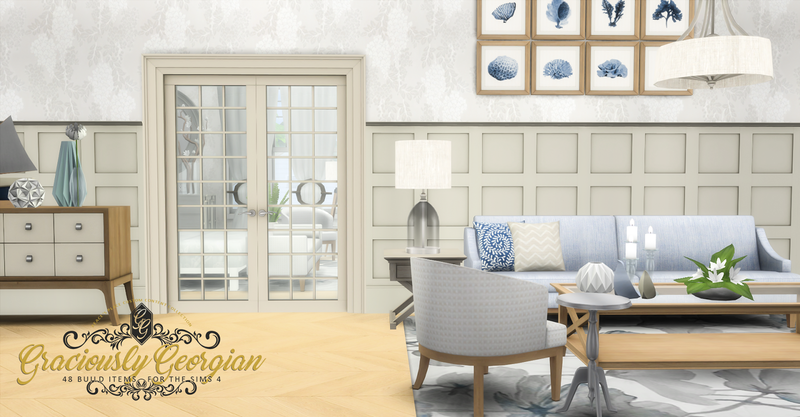 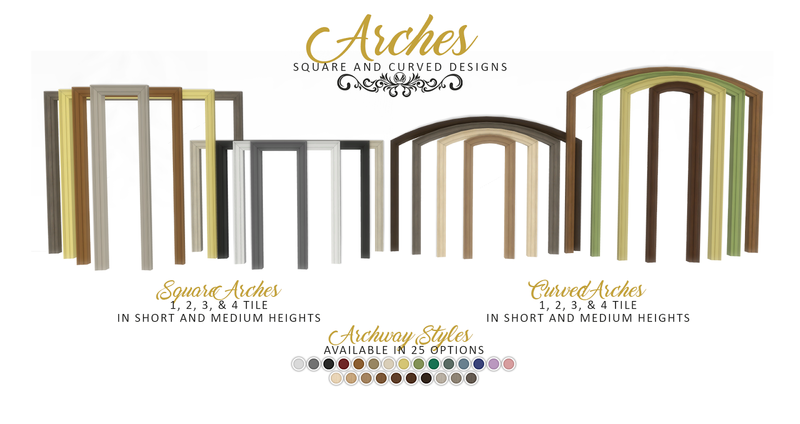 The idea was to create a classic Georgian-style set for use in everyday homes, both classic and contemporary. 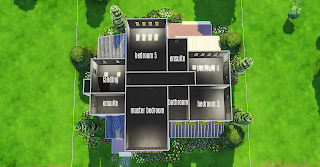 Let me tell you, this was made harder given there is no CASt, but I think I came up with a very usable set. 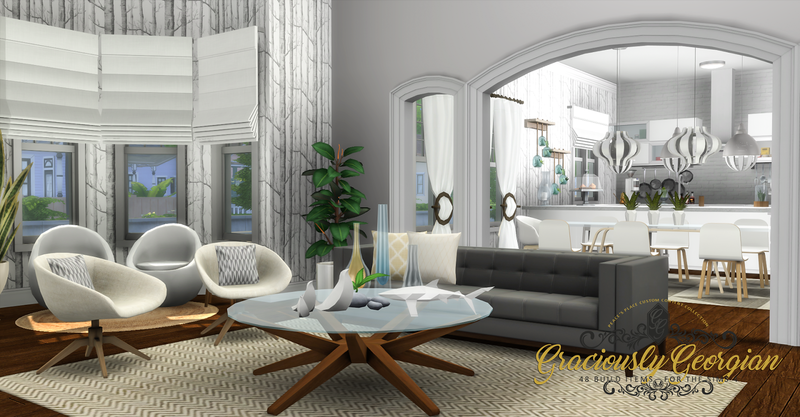 To say I am proud of these objects is an understatement, especially when I thought at one point I would not finish it. 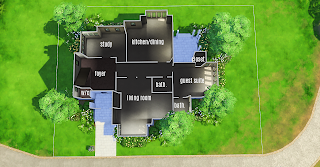 But here it is, so you can enjoy it as much as me. 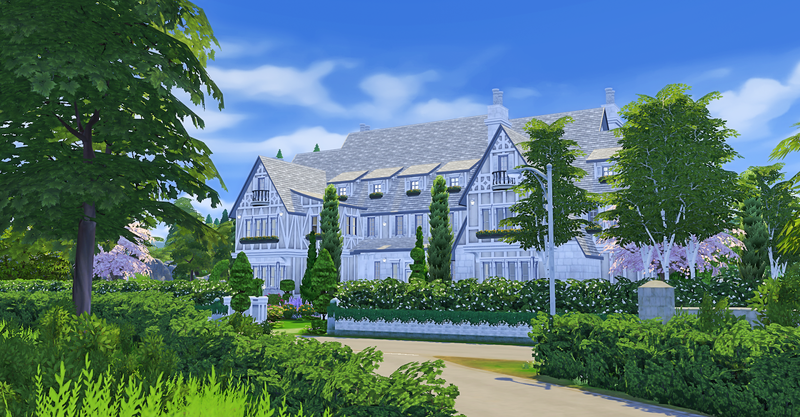 The home on the hill in the north of Windenburg, this residence is quite large considering its looks. Its amazing what what overhangs can do for the top floor! 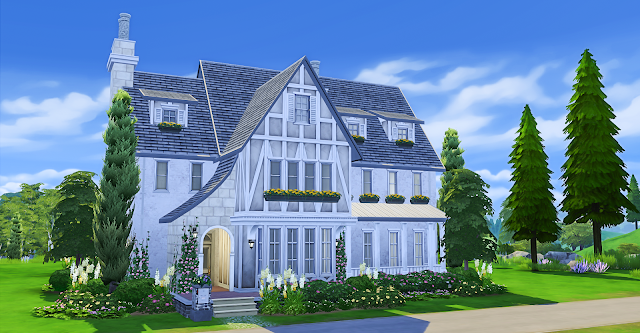 Anyway, this is again a more country home with some tudor influence with soft colouring to make it a little more casual then the city buildings. Also there is some grassed area for a vegie patch which is always nice. 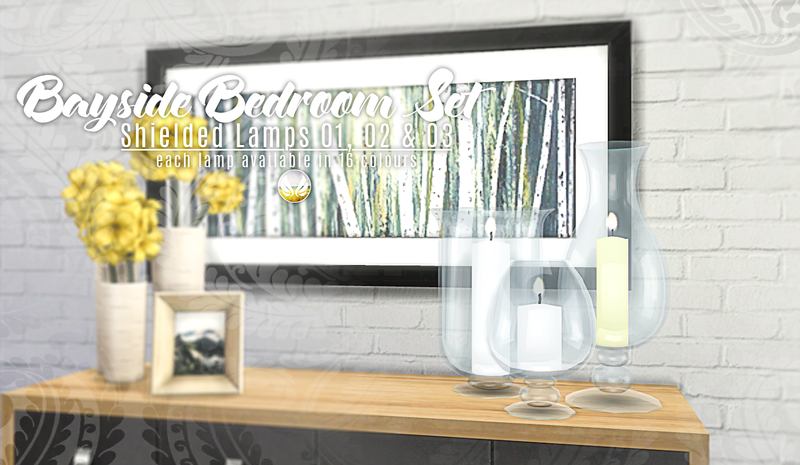 Update 16/07/2016: I have updated the custom tuning for these lights so the lighting options can be applied per room. Please redownload. 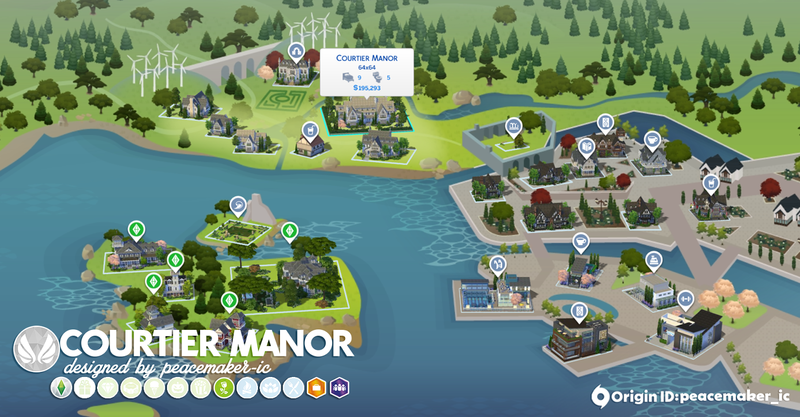 Another huge lot for Windenburg, this time on the mainland and not the island. 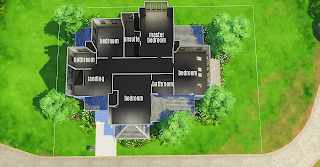 This home is not quite as large as its only spread over 2 floors, but it has more room then you could need with plenty of space outside for activities too. I really love the balance I managed to achieve with this home, and its grand yet welcoming and has a touch of the country while still feeling formal. 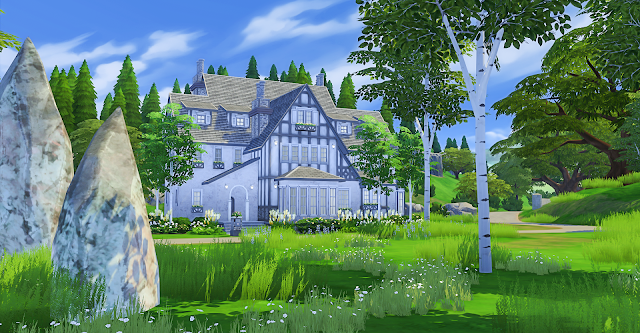 This was the first lot I made for the Northern part of Windenburg for my Makeover of the world. 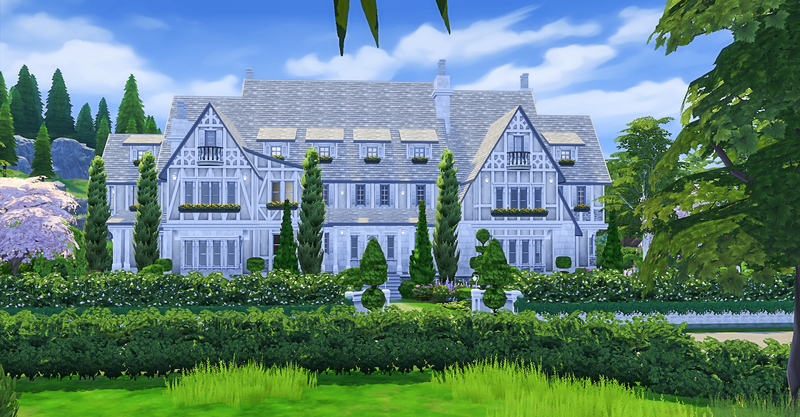 I wanted a french country style, that mixed in some Tudor influences to tie it back to the main town, and this is what i can up with. 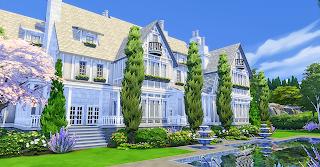 its quite spacious inside and has a bit more laid back style then the more formal Tudors I have released. 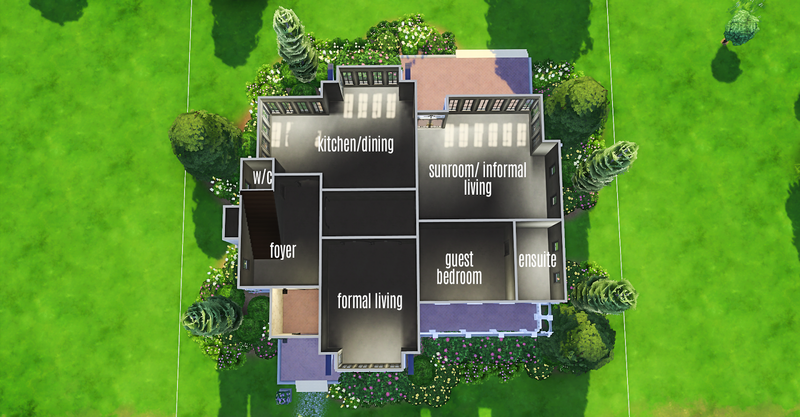 Again, this home is supplied unfurnished.